And that's exactly what Petra is: a well-preserved fusion of natural beauty and human carving and engineering skills from years gone by. The ancient city includes the remains of a range of temples and other buildings which were expertly carved into the sides of the sandstone cliffs, as well as an ingenious water conduit system which enabled the locals to store and transport water for the long periods of drought typical of the desert climate. Either the natural or manmade attractions on their own would be worthwhile to visit; the two together make it one of the world's most unmissable attractions. Writers have identified Petra as the center of the Nabataeans' caravan trade. Enclosed by towering rocks, the ancient city was a well-protected fortress and controlled the main commercial routes which passed through it. The semi-nomadic Nabataeans were a peaceful people who survived in the arid desert climate. Petra was establishing itself as a centre of Nabataean culture by the 4th century BC. It became a meeting place of people from across the earth and Hellenistic, Egyptian and Arabic architectural influences are evident, as the Nabataeans absorbed cultural elements and thinking from those the encountered into their own lives. In 106 AD, Petra was formally annexed into the Roman Empire. Nabateaean culture and trade continued to thrive until the 4th century, but the area became a shadow of its former self following the devastating effects of a series of earthquakes between the 6th and 8th centuaries. The Nabataeans worshipped pre-Isamic Arab gods and goddesses in addition to a few deified kings. Christianity made its way to Petre in the 4th century. Christianity eventually gave way to Islam following Islamic conquest in the 7th centuary. The site has featured in a number of blockbuster films, including Arabian Nights, Indiana Jones and the Last Crusade, Transformers: Revenge of the Fallen and The Mummy Returns. It has appeared in novels, has been recreated in video games, and has formed the backdrop to music videos. It is also the subject and title of a sonnet by John William Burgon, which in 1845 won the Newdigate Prize. The tombs and buildings within Petra are many and varied. Petra contains more than 800 monuments, with the vast majority of these carved into the hed-hued soft Nubian sandstone cliff-faces. Even without knowing any of the history or significance of the buildings, a simple walk through the site will be well worth it. Taking your time to learn about the history and culture will make any visit even more worthwhile. Though the city was likely approached in ancient times from the south or the north, today most visitors approach from the east. This impressive eastern access route leads down through a dramatic, narrow gorge. This gorge, known as the Siq, is a natural passageway formed from a split in the sandstone. Before you even enter the Siq, there are a range of chambers, small graves and monuments of note, including the magnificent Olelisk Tomb. The Nabataeans appear to have had ingenious ways of controlling the water supply to the city, creating an artificial oasis in the harsh desert landscape in which it is located. Flash floods were controlled by the use of dams, water conduits and cisterns, which stored water for prolonged periods of drought which inevitably followed. Two water channels can be seen along the side of the Siq. Carvings alongside the water channel which is carved in the face of the rock along the Siq. Al Kaznah, commonly known as 'the Treasury', is the most elaborate ruin within the archaeological complex. It is located at the end of the Siq, making a spectacular end to the long approach walk. Though the building is well preserved, its face contains hundreds of bulled holes, the result of attempts by local Dedouin tribes to dislodge treasures believed to be hidden inside. From the Treasury, and the features which immediately follow, there are a number of options. Most of the attractions are worth visiting, but in addition to viewing the tombs and monuments from ground level, it's worth taking the walk to one of the high places and get an alternative perspective of the ancient city. Attractions include the Street of Facades, the Royal Tombs, the Great Temple, The Monastery, The Roman Theatre, The High Place of Sacrifice and Habis High Place. Petra contains more than 800 monuments and tombs. The vast majority of these are carved into the rock face. Petra is an outdoor attraction with little shade from the midday sun. Be sure to pack a hat and suncream to protect yourself from the hot sunshine. December to February are the coldest and wettest months. The days are warm, but the evenings can get very cold. Heavy rain can be a problem as you are outside all day and there is a risk of the valley flooding. At all other times of the year it is very warm, and there is a high risk of heat stroke. As the air is dry, dehydration is also a constant concern. You should also ensure that you pack your camera, and remember to check that the battery is fully charged. You will take a lot of photos! Entry to this site is expensive (50 Jordanian Dinar). The best value is offered for two and three-day visits (55 and 60 Jordanian Diner respectively), so you may want to plan a few days in the area and take your time to explore all that the attraction has to offer. Prices are even more expensive for those who do not day overnight in the country. The site is approximately 20 minutes walk from the centre of Wadi Musa and most of the accommodation in the area. JETT buses run standard and all-inclusive guided tours from Amman and Aqaba. Note that these leave very early in the morning, and are often full. Minibus connections are also possible from both Aqaba and Amman to Wadi Musa, from where you can walk or take a short taxi ride to the site. They are very cheap, though tourists may be charged more than the standard 'local' rate. These busses run to no fixed timetable, and will depart when they are full, until about midday. They are not always the most comfortable form of transport, but are definitely the cheapest. Donkey, camel and cart horse transport is available around the site itself, but these are generally overprices, and no quicker than walking. You may be told that a horse ride is free, and then, once aboard, informed of the steep tip which you are expected to pay. There is only one restaurant within the site. It is located at the far end of the Roman Highway, and, as you would expect, is very expensive. There are, however, a number of small vendors throughout the area selling drinks and snacks. You are likely to spend a long time at the attraction, so if you want to avoid the expensive restaurant be sure to pack some sandwiches. Ensure that you also pack plenty of water. There are many restaurants and eateries in Wadi Musa, and some hotels also serve food. Little Petra is a free archaeological site not far from the main site. It is a good place to visit if you arrive in Petra late in the afternoon, and gives you a taste of what to expect when you visit the main site the following day. The crowds are much smaller, and there is less walking involved. You can hire a taxi from Wadi Musa or outside the main entrance to Petra. The driver will wait while you explore the area. The bordering deserts of Wadi Araba and Wadi Rum are also worth a visit. Local Bedouin guides can be hired for single or multiple days treks on foot. Horse, camel and 4WD treks are also possible. I found myself in Jordan in 2009, and decided to visit Petra. I had made no arrangements and was travelling alone. I hailed a taxi outside my hotel (probably not advised), in Amman and asked to be taken to the bus stop for going to Petra. The driver took me to the JETT office, but all the buses had left for the day. He then took me to the main minibus station and ensured that I was waited at the right bus stop. There were other tourists there, but most were locals. I was lucky that he spoke good English, but I found that all the taxi drivers were very helpful, even if they didn't speak English. The journey to Wadi Musa was long and slightly cramped, but the trip only cost a few dollars, so I can't complain. The driver gave me directions to the site when I got to Wadi Musa. When I arrived at Petra, a local taxi driver recommended that, since it was late afternoon, I go to Little Petra. It was very well worth the short trip, and prepared me for what lay ahead the following day. He was full of information and very helpful. When I was checking into my hotel that evening, I realised that I had left my rather expensive camera in the back of his taxi. I mentioned it to the receptionist, but didn't expect to hear any more of it. My camera was returned later that evening. I had been concerned about travelling in Jordan as a white female on my own, but must say that I had a wonderful time. Of course, visitors should be sensible and respectful, but my experiences were all positive. Jordan has a lot to offer, and Petra should not be missed. It's definitely somewhere everyone should visit before they die. Wonderful article! I never considered Petra a destination but now it's on my list. Thank you for sharing your experience and knowledge. Thanks for the feedback. Hope you make it there some day. Well written with great photos. I will be making a trip here one day. Glad you enjoyed it. Happy travels! 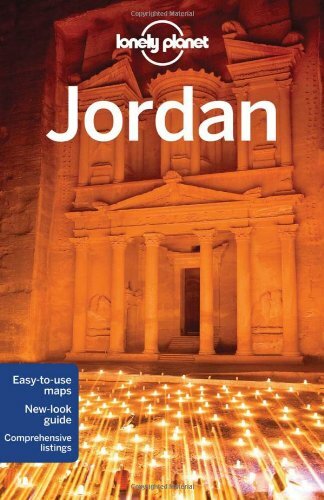 Insight Guides Insight Guides: Jordan. Singapore: Apa Publications, 2007.